Bernice Downey considers herself to be someone who builds relationships, is an agent of change and, above all, is an advocate for Indigenous health and well-being. 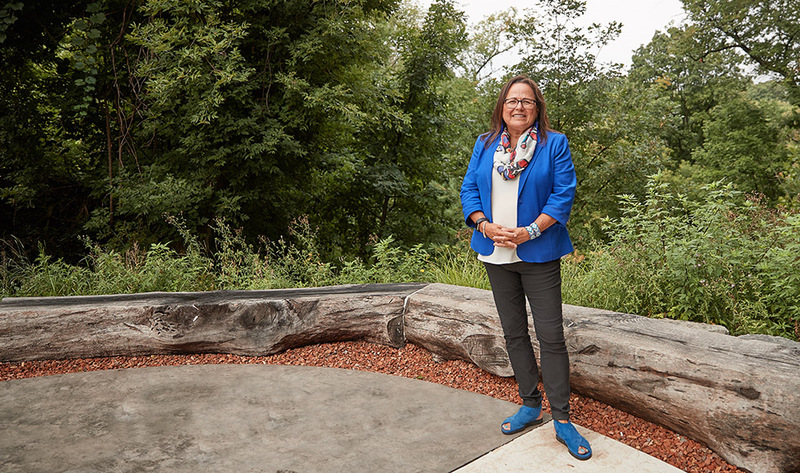 Her connection to her role as the Indigenous Health Initiative lead in the Faculty of Health Sciences at McMaster University stems from a long career in the Indigenous health research field. As Downey works with others to address systemic barriers that Indigenous people experience in the health sciences education system, she is mindful her own family’s experiences. Her mother, Evelyn McLaren, an Ojibwe/Saulteaux-Cree woman was born in Lake St. Martin and raised on the remote Dauphin River First Nation in Manitoba. Downey’s grandmother was a survivor of the residential school system. Her father, a member of the Canadian military, was of Celtic heritage. He died when she was four, before she had the chance to get to know him. After his death, Evelyn moved her children to places like Pembroke and Winnipeg. She remarried and the family finally settled in Hamilton, where there were opportunities for education and employment. She chose to not teach her children their native Ojibwe language. Evelyn worked hard all her life in the domestic and food service industries but wanted more for her children. Her sacrifice paid off as all four of her children received post-secondary education. As for Downey, she was unsure of her career path as she completed high school. Her mother offered her some sage advice. Initially intimidated by the idea of university, and with few mentoring options for Indigenous learners, Downey chose to enter a diploma nursing program at Sheridan College. She spent the early years of her career in nursing in the United States. She eventually returned to Ontario and worked in a Toronto family practice clinic, and later, at the Hamilton General Hospital, in the in-patient psychiatry unit and the drug and alcohol relapse prevention program. Downey subsequently completed her BScN from the University of Ottawa as a part-time student over nine years while working full-time and raising her own family. Her career would evolve into administrative positions. She was the executive director of the Aboriginal Nurses Association of Canada, and went on to serve as a senior policy analyst, and later CEO, of the National Aboriginal Health Organization. Her administrative work at the national level increased her awareness of the disconnect in how mainstream health systems and services for Indigenous people were not meeting their needs. There was a need to harmonize biomedical and Indigenous approaches to health and well-being. Downey looked to return to university to conduct research on the issue. “I felt that in the area of Indigenous health and research, we were missing the boat,” she says. “I believed that Indigenous people had long held their own beliefs and knowledge about how to take care of ourselves, but because of the biomedical focus in the health-care system, there was little room for that. “I wanted to answer the question that if you had your teachings about health and well-being from your own Indigenous world view, from elders, your family or your community, are you health literate?” she says. Downey obtained both an MA and PhD in anthropology and health (medical anthropology) from McMaster in 2009 and 2014, respectively. She gave the valedictorian address at the convocation marking the completion of her PhD. Downey went on to work as a post-doctoral fellow with the School of Graduate Studies under the leadership of Allison Sekuler, who is now vice-president, research at Baycrest Health Sciences. Downey led the development and implementation of an Indigenous undergraduate summer research scholar program, now it in its fourth year, and considered a cross-campus success at McMaster and at a few other universities in Canada. 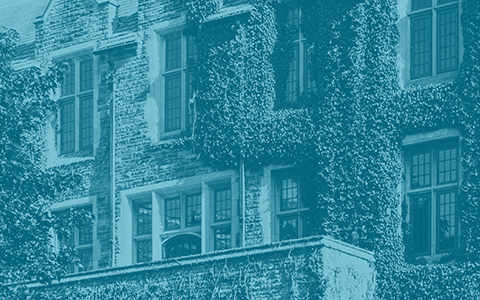 In collaboration with other Indigenous scholars on campus and the regional Indigenous community, Downey also led the creation of the McMaster Indigenous Research Institute, known as MIRI, which is now in its early stages of development. MIRI is anticipated to be a world-class facility recognized for its leadership in the field of Indigenous research. “Indigenous research as related to health is about building the evidence base, creating awareness and addressing some of the serious inequities in our society for Indigenous people,” says Downey. Downey was appointed the lead of the new Indigenous Health Initiative for the Faculty of Health Sciences in March 2017. She is also an assistant professor of the School of Nursing and the Department of Psychiatry and Behavioural Neurosciences. The comprehensive Indigenous Health Initiative aims to address systemic barriers in health sciences education for Indigenous learners, as well as educate faculty and administrators regarding Indigenous health and cultural safety. It also focuses on collaboration with both internal and external partners to better integrate Indigenous knowledge and issues into educational and research programs within the Faculty. “Dr. Downey has made significant contributions to her field and in society more broadly and will continue to do so through her well-orchestrated community outreach,” says Chelsea Gabel, who holds the Canada Research Chair in Indigenous Well-Being, Community Engagement, and Innovation and is an assistant professor at McMaster. The Indigenous Health Initiative is informed by the Truth and Reconciliation Commission of Canada, which identified Indigenous health inequity in Canada and its link to the overall impact of colonization and government assimilative policy. “This initiative is incredibly important as it represents a commitment by the Faculty and institution to Indigenous health professional education reform,” says Downey. The other half of Downey’s time at McMaster is spent on research related to systematic health-care improvements for Indigenous people. Downey is the recipient of a Canadian Institutes of Health Research (CIHR) catalyst grant on Indigenous approaches to wellness research focused on wellness in circulatory and respiratory health. “The idea is to provide an opportunity for Indigenous people with related diseases to share with us how they view wellness so we can change the way we work with them,” she says. Downey acknowledges she is in the later stage of her career. She looks forward to the future when she can spend more time with family. She also aspires to support the work of younger Indigenous scholars and providing mentorship where she can. She also sometimes dreams of returning to Manitoba and immersing herself in learning her mother’s language.